Swansea City and Newcastle United will both hope to make it two wins on the bounce when they clash at the Liberty Stadium on Sunday afternoon. The Swans won away at Crystal Palace last time out, while Newcastle United beat West Ham on home turf. That has given both teams the chance to climb into the top half of the table by picking up three points in Wales in front of the television cameras. In the UK, the match will be available to watch live on television on Sky Sports Premier League and by stream via Sky Go. In the US, the match will be available to watch live on television on NBCSN and can be streamed via NBC Sports Live. Swansea are without Kyle Bartley, Ki Sung-yeung and Nathan Dyer, while Leon Britton is a doubt with a back strain. 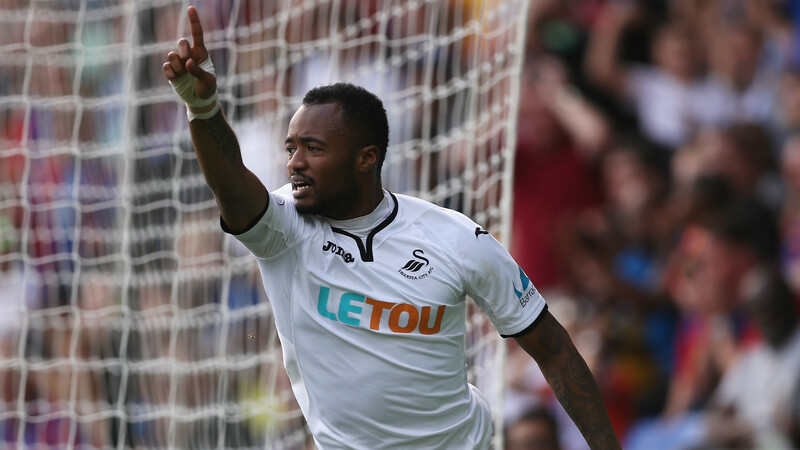 Jordan Ayew is available after a stomach problem, though, and new signings Renato Sanches and Wilfried Bony could feature. Potential starting XI: Fabianski; Van der Hoorn, Fernandez, Mawson; Naughton, Fer, Clucas, Carroll, Olsson; Ayew, Abraham. Newcastle are without Chancel Mbemba and Paul Dummett, who are injured, as well as the suspended Aleksandar Mitrovic. Rafa Benitez may also miss the game due to an infection after hernia surgery. Jonjo Shelvey, however, returns from a ban and DeAndre Yedlin and Florian Lejeune have both trained and are targeting comebacks. Potential starting XI: Elliot; Yedlin, Lascelles, Clark, Manquillo; Merino, Hayden, Shelvey; Ritchie, Joselu, Atsu. Swansea are 7/5 favourites to win, according to dabblebet, with Newcastle priced at 11/5 and the draw also available at 11/5. Tammy Abraham is the 4/1 favourite to score first, with Dwight Gayle the 5/1 top pick for the visitors. It has been a decent start to the season and a decent transfer window for Swansea City. The Swans suffered a 4-0 loss at home to Manchester United but have picked up four points on their travels, and dealt with the loss of Fernando Llorente to Tottenham by signing Wilfried Bony. 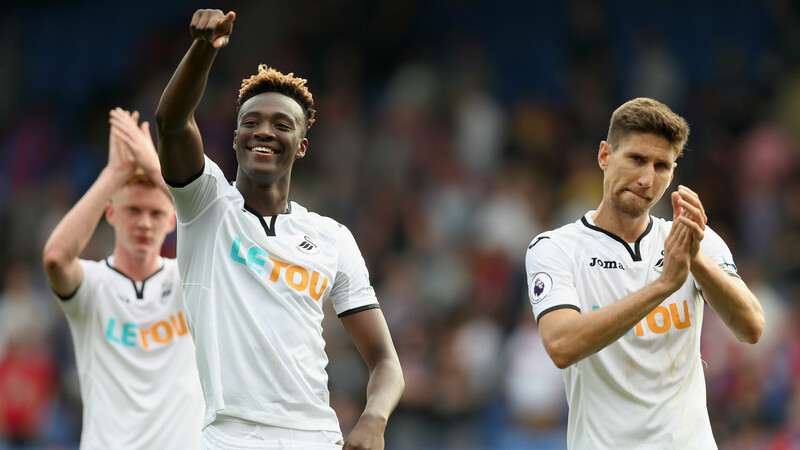 With Jordan Ayew and Tammy Abraham also among their striking options, Paul Clement's men should be able to deal with the Spaniard's departure. In midfield, Bayern Munich starlet Renato Sanches is an intriguing, high-potential addition on loan, while Sam Clucas was a standout performer for Hull City last term. At Newcastle United, there is less optimism. 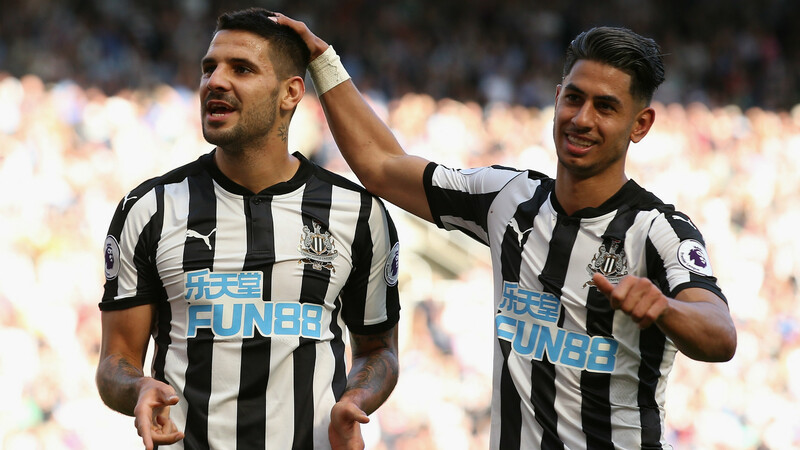 Mikel Merino has class and Joselu netted on his debut, but the sense - given off by Rafa Benitez as much as anyone - is that the Magpies have not pushed on and made the most of the momentum built in their promotion-winning season in the transfer market. The mood could change at both clubs, though, with an important win on Sunday.